One of my goals this year is to participate in new events to keep racing fun and fresh. After all, there’s nothing like a new challenge to get you fired up, right? I’ve already competed in three new races this year, and have several more slated for this spring. My favorite so far has been the Red Carpet 5K in Palm Springs, put on by race director, Molly Thorpe, and the Palm Springs Marathon Runners (you can read my blog post HERE if you want to know why I loved this race so much). 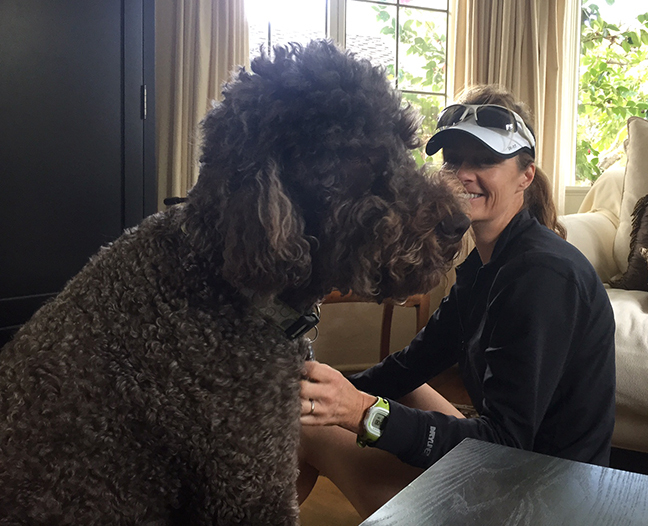 IWhen Molly emailed me recently to let me know about an upcoming race she was organizing, the Run for Ike 5K, I immediately did a happy dance because I knew my family and I were planning to be in Palm Springs visiting my in-laws that weekend. Yay! Another chance to do a new race and run in an event put on by Molly. My experience from the Red Carpet Run told me that any race Molly put on was bound to be special. She’s a “details” gal–something that takes a typical race up several notches so that it’s not only fun and well-organized, but memorable. For starters, every runner receives a tech quality t-shirt at packet pick-up. The first 200 people to sign up also receive an Ike plush. 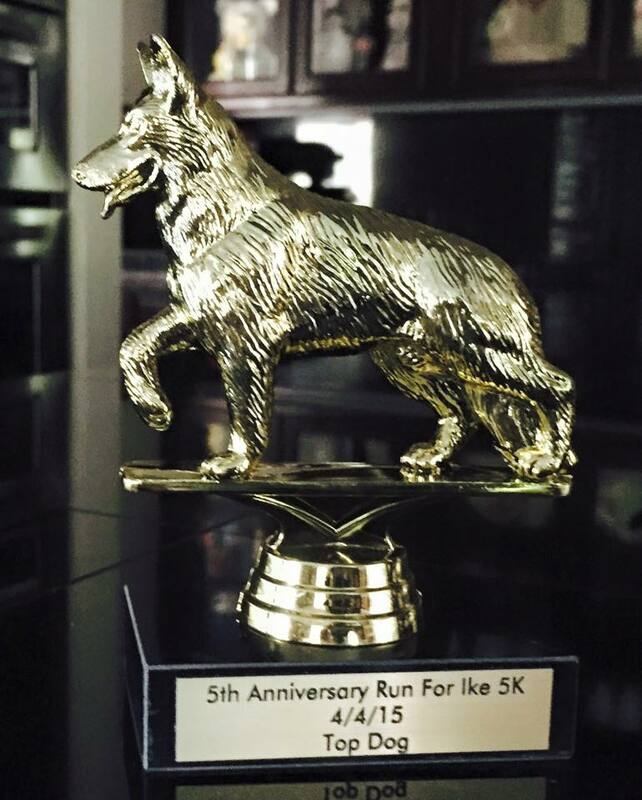 Then once you cross the finish line you receive a “Top Dog” trophy. Age group awards are handed out three deep in 5-year increments. After the race there’s a pancake breakfast sponsored by the Palm Springs Lions Club, which is included in your registration. 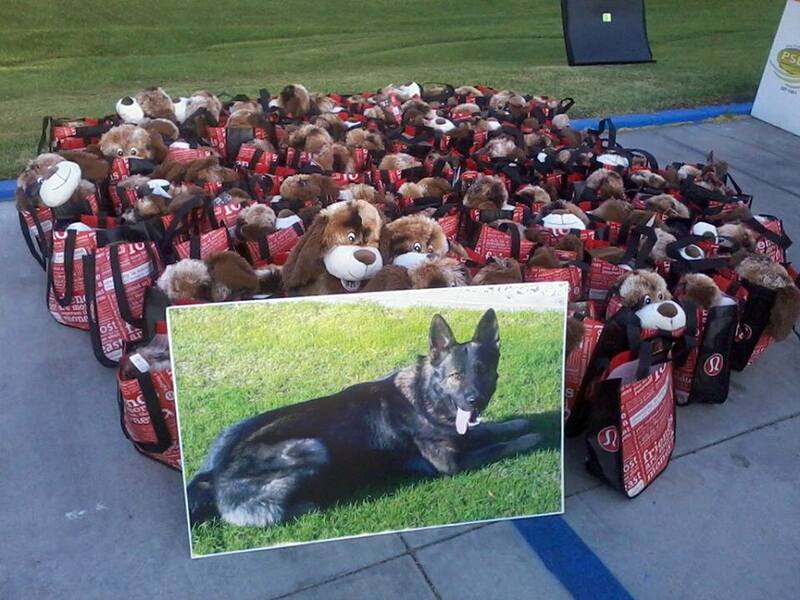 There’s also pet adoption, K-9 demos, SWAT and first responder vehicle displays, photo ops, and a BBQ. Ben & Jerry’s at The River is also sponsoring the JR. IKE Dash for kids 10 and under. 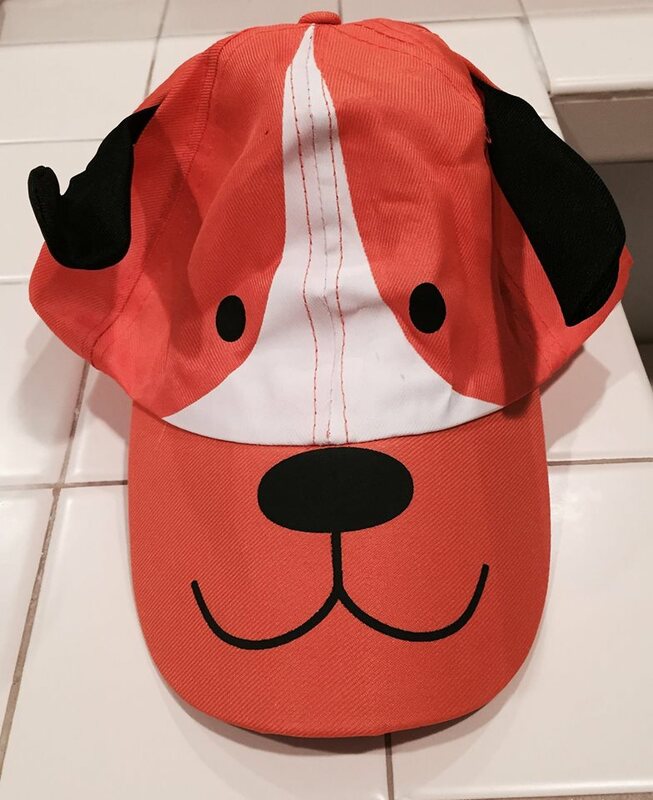 The kids will each get adorable t-shirts along with a floppy eared doggie cap and finisher button. Their registration is only $5, and they’re also giving each Jr. finisher a coupon for a free scoop! Most events offering all these things would charge a big nickel, but registration for this event is only $35 until April 2nd. 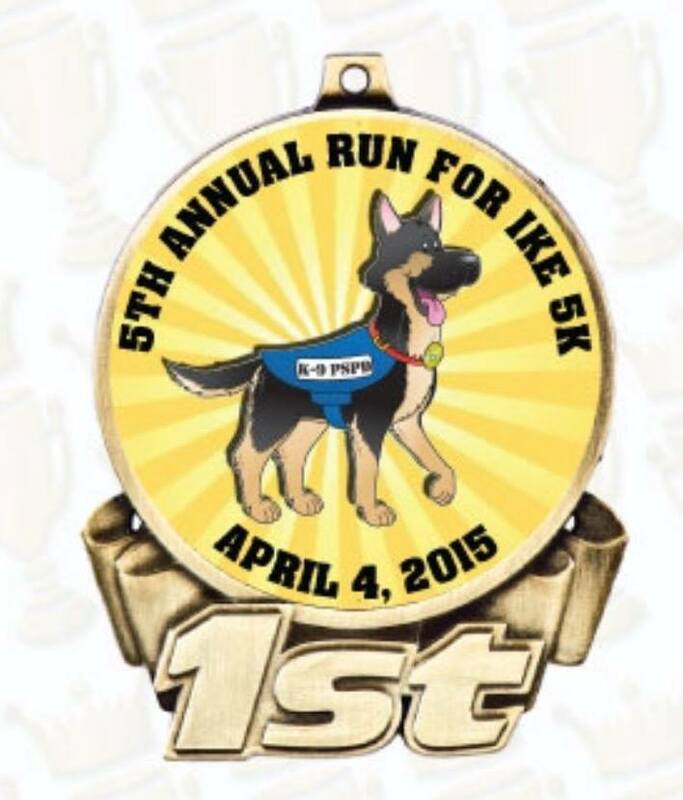 If that’s not enough, Molly is offering a $5 discount for any of my friends who want to join me for RUN FOR IKE 5K on April 4th. You simply have to put in the code RUNPALMSPRINGS on racewire.com. I hope you’ll join me for what is sure to be a fun Saturday morning in Palm Springs! By the way, this race is runner, walker, stroller and doggy friendly. REGISTER HERE!